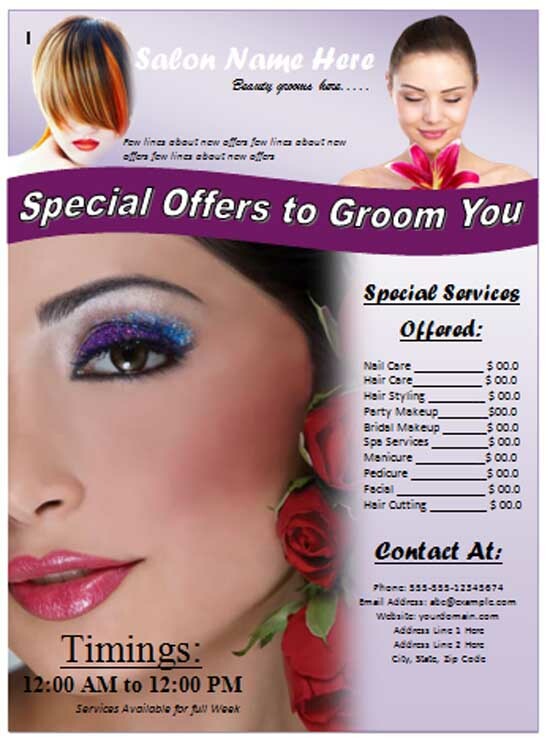 Business flyers are a must for promotion of any business in a cost-effective manner. 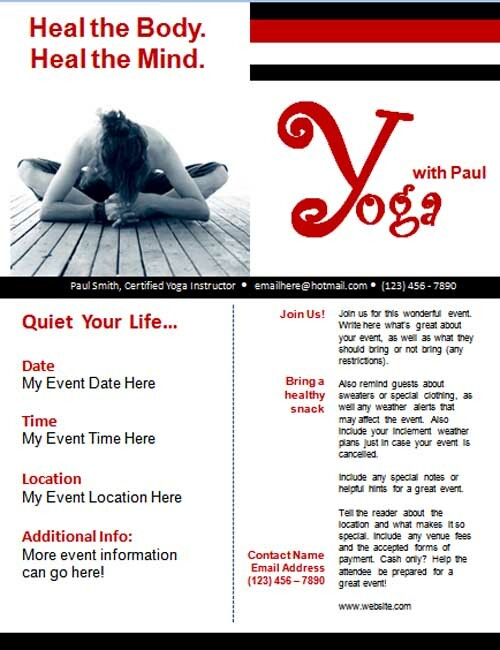 Whether it is an opening of a new restaurant, spa, salon or small business like yoga training or home cleaning, business flyers are designed in such a way to look irresistible and inviting. 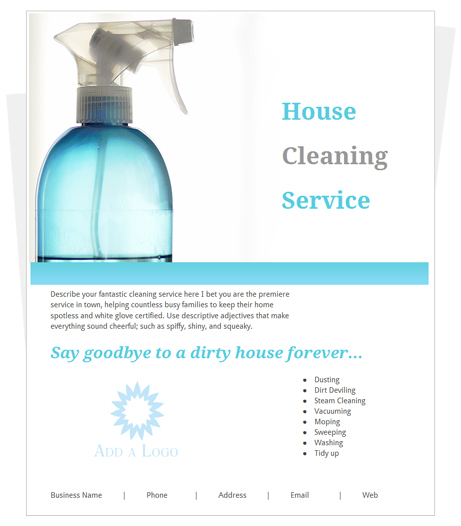 However, designing a business flyer that exactly serves your purpose is bit tiring task as it is not everybody’s cup of tea. So, here we are presenting a collection of 25 free business flyer templates that you can use as per your wish. 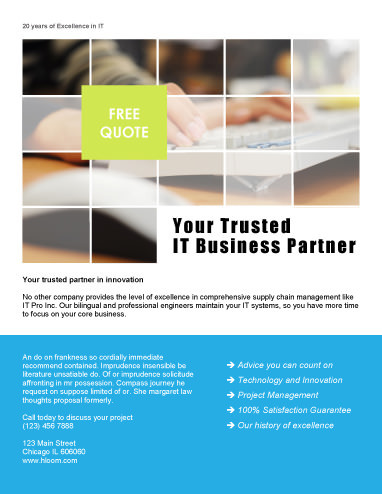 These can be downloaded to edit accordingly to suit your business needs. 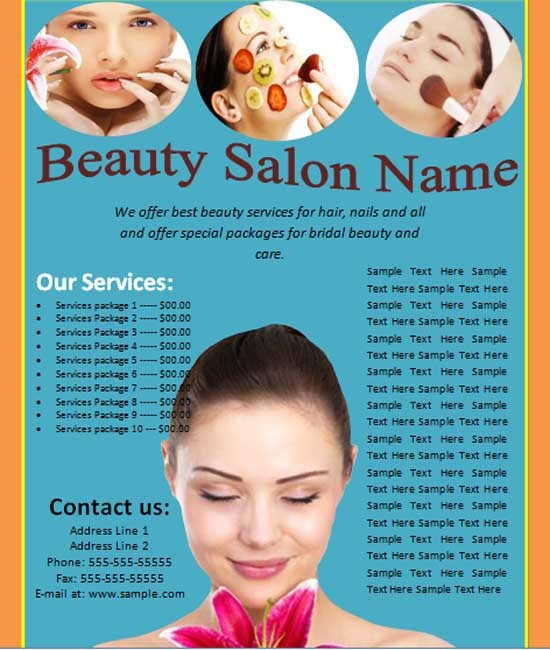 Designed in a eye-catching manner, the flyer notify customers about the salon services along with the pricing and is editable. Designed in two columns with text in a combination of black and red on white background looks apt for advertising yoga classes or studio. 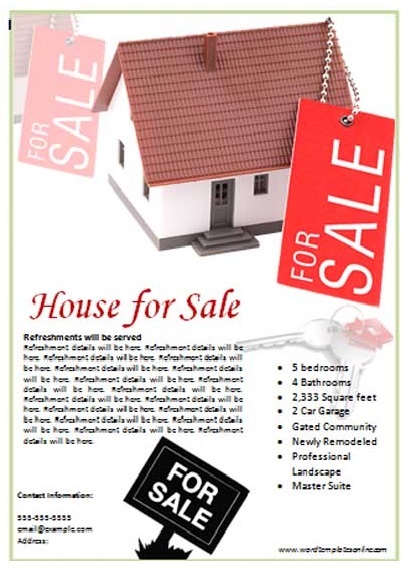 Image of decent house with a huge red sales tag and ample white space for text makes this an ideal flyer template for real state business. The blue template has a decent border and multiple images. 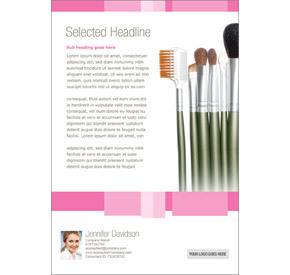 The template looks good to give information about beauty services. Designed in light navy blue in a no frill manner, the template has a right mix of images to attract and ample text space to convey information. 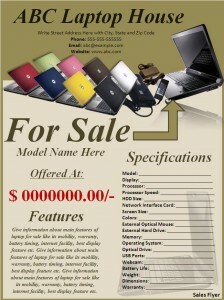 The editable template consists of a professional design for conveying sales offer information to its customers in an attractive manner. 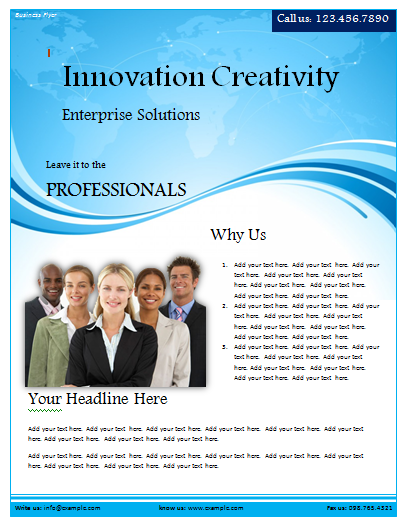 The template is designed in a brilliant combination of sea-blue and white with a thorough professional feel and text space. Career coaching is also now a lucrative business and the simple black and white template in microsoft word looks great to advertise for the same. 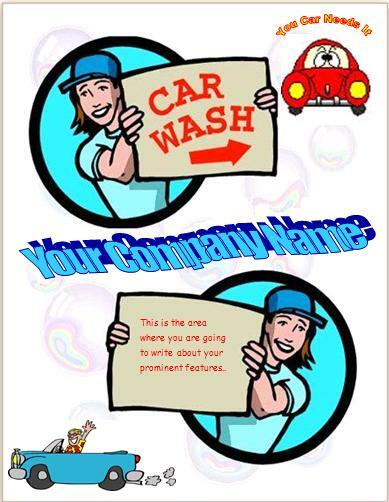 A well designed template with ample good images indicating the type of business and company name in a wavy form is sure to attract customers. 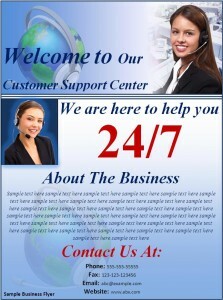 Perfect for business promotion of B2B companies, the template has a high resolution image at the top followed by white space and a blue text area. 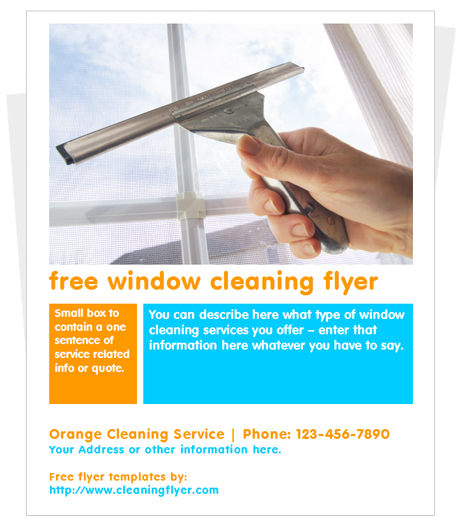 The template has a blue and orange visually contrast color scheme and an image of a hand holding squeegee to clean a window. 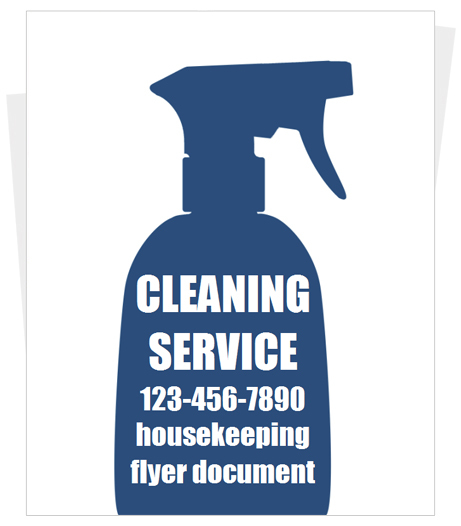 The template features a prominent illustration of a spray bottle in navy blue on a white background and text in bold over the illustration. 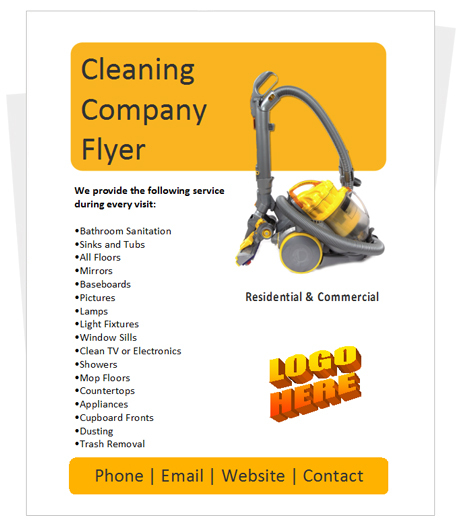 The orange and white template features a vacuum cleaner, space to place the company logo as well as vital contact details. 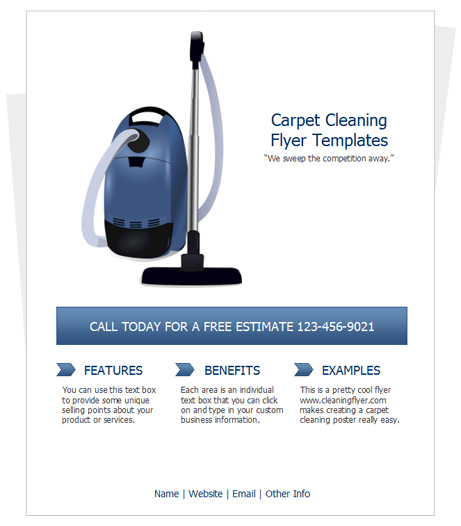 The design of the template is a clean one with image of a vacuum cleaner as well as all text except the contact number on a pristine white background. On a white background the blue spray bottle image in upper half and all requisite information in the lower half in a combination of white and gray makes it visually appealing. 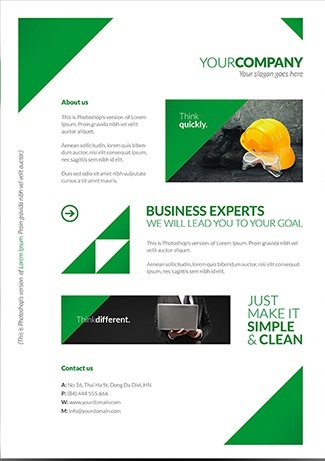 The stunningly clean white and green flyer template is perfect for advertising your business in a professional way. Downloaded innumerable times, the template exhibits a clean look with contact information in tear-off tabs and heading in red. 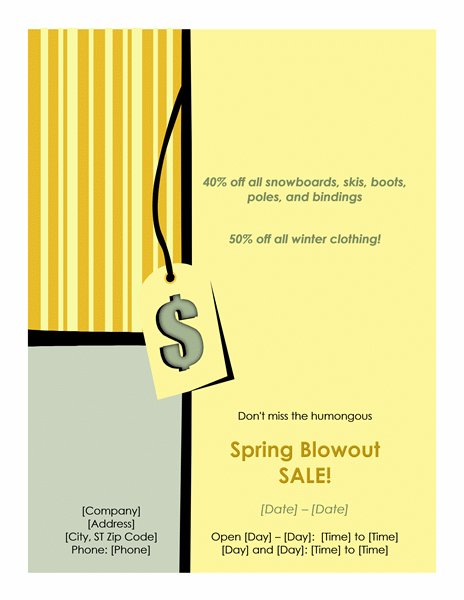 Easy to customize, the white and navy blue colored flyer template can be send to the customers or clients via an email conveniently. The template is an electrfying one with contrasting colors and high resolution images to attract maximum eyeballs. 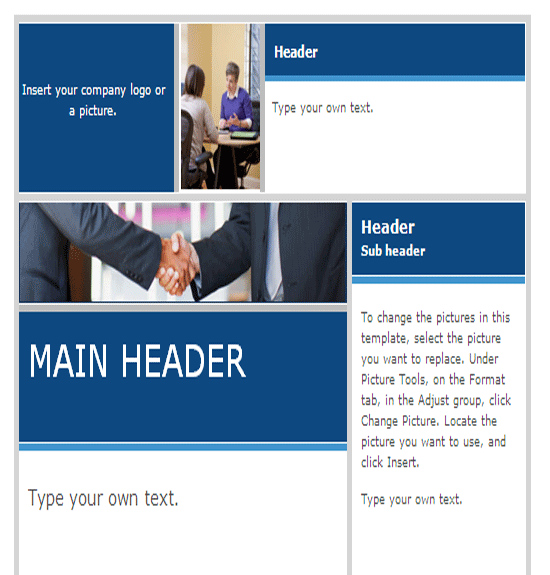 Designed in somewhat a table format of three rows and two columns, the template is an apt one for a business sales event. 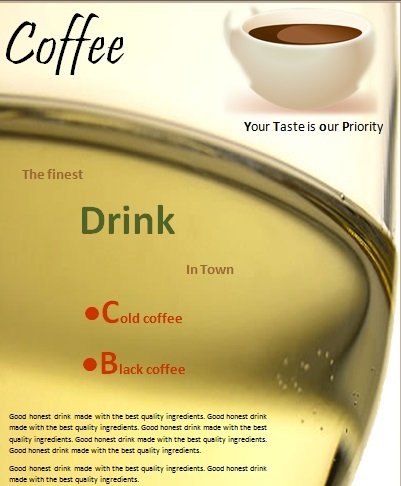 The fully editable template feature an elegant design with a white cup filled with brown coffee and ample text for promoting the coffee shop. 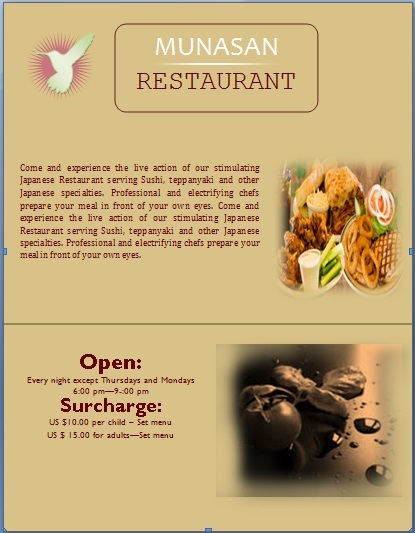 A simple template in two rows featuring ample area for text and images look elegant to promote a restaurant business. 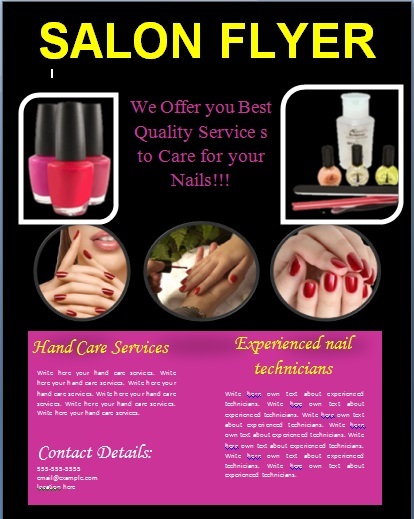 Multiple attractive images of beautiful nails on a black background and a pink text area makes the flyer template quite endearing for a salon business. 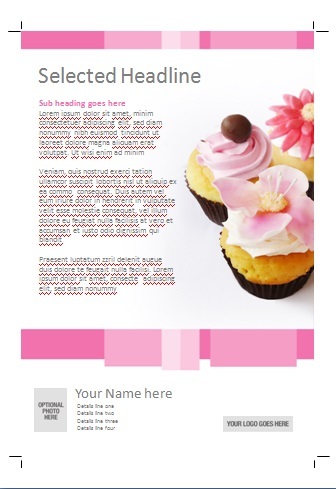 The template boasts of a white background with text on it in baby pink and black color with decorated cup cakes in the right hand side. A couple of makeup brushes on a white template with a dash of baby pink is surely going to attract customers towards this makeover salon. All the above free business flyer template can be customized easily and can be great to promote any kind of business in a hassle free manner. 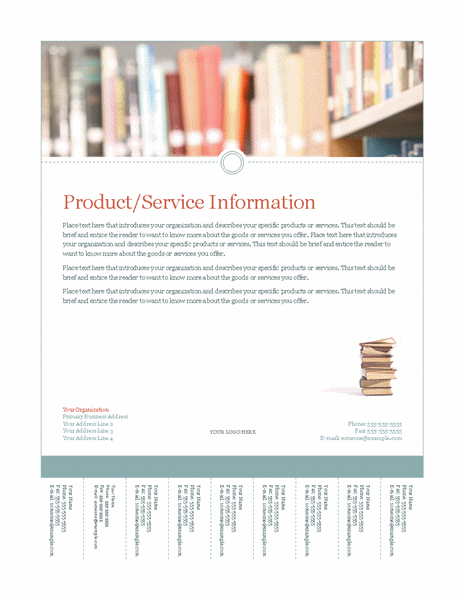 Include contact information and company logo wherever you find appropriate to have a professional feel. 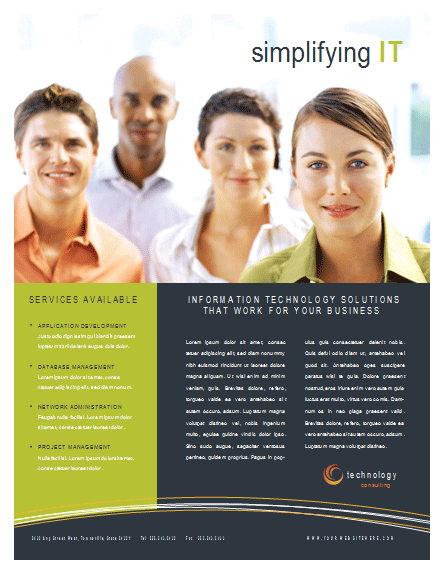 Hope, these business flyer templates can be of great use in future.